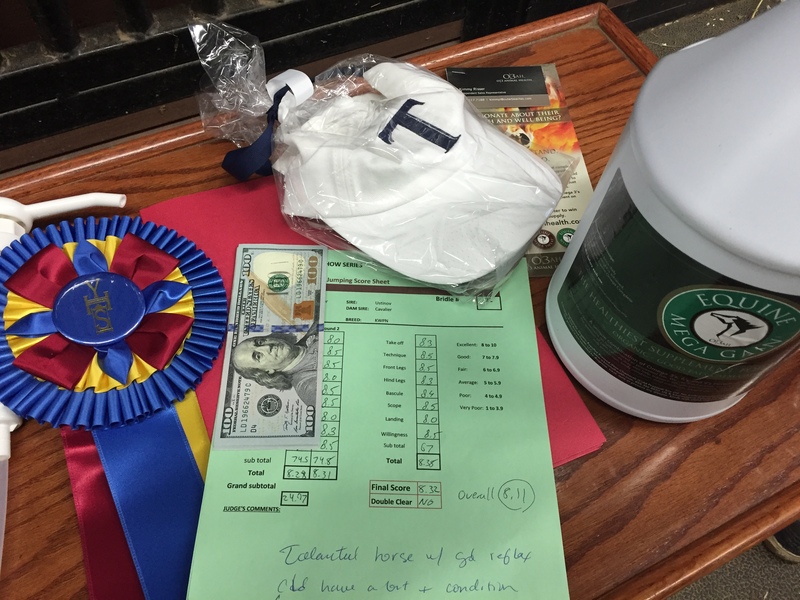 As promised, the adventure of the Young Horse Show (www.younghorseshow.com)…the greatest answer to the future of young horses in our country continues. Any horse, whether bred in the U.S. or elsewhere is welcome. We need this series. We want this series. The vision of catching up to Europe can happen, and as long as Americans understand the benefits without getting bored of the little things, we might figure out how to develop the young horse. I’m not holding my breath but I can be darn sure to support it instead of sneering at it. The timing of the Final is ideal. November. Over 100 horses ended up competing on the Qualifying day, many of them here to just experience the jump chute for the first time. No fancy tack room set ups, no pressure to get to the in-gate or else the class will be closed, judges card signed, JY (the organizer) is COMPLETELY aware baby horses don’t always go in the proper direction at the proper time, informing his staff to wait. You need an extra schooling jump? No problem. Take four. The format is fine, there are classes for dressage horses, or horses judged simply at the walk trot and canter, jumping classes for 4 and 5 yr olds, in hand classes, and age specific jump chute classes. The nice thing about watching an afternoon of horses in the jump chute, is that just as your eyes start to glaze over, a special one walks in and and blows the competition away. Everybody applauds, and we all go, yep, that is what we strive for. That special horse is going to keep people interested. Now JY Tola has the added pressure to keep the classes for these horses coming. 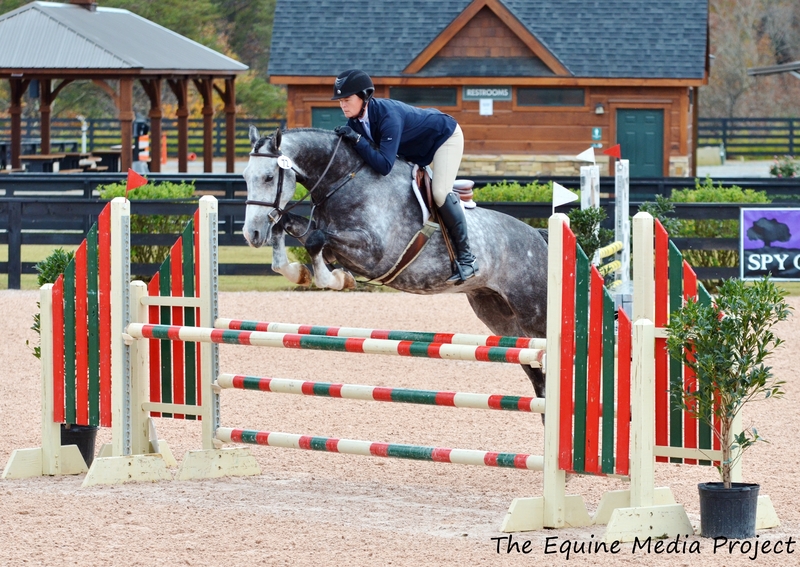 Choosing these horse shows over the A rated ones is not an incredibly difficult decision. 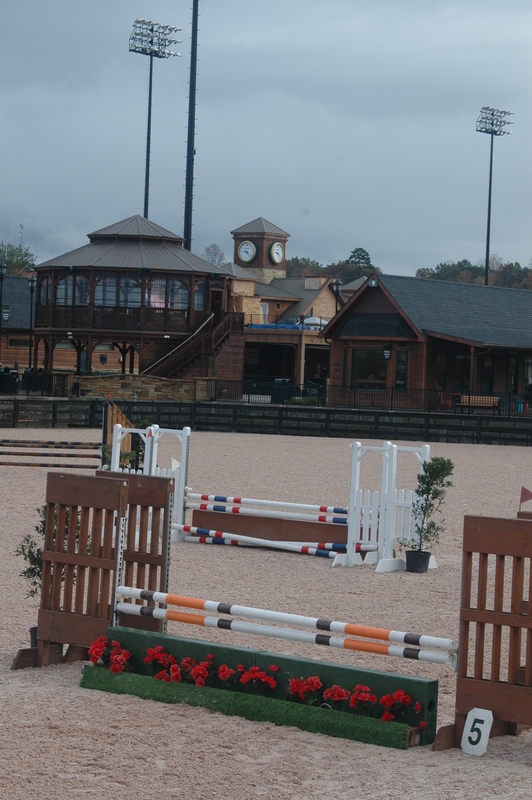 The cost is ridiculously low…I think my bill for the Qualifier Day was $325, only slightly more than normal because it is held at the Tryon Equestrian Center. My included stall fee is for the WHOLE weekend, not just the first day. I won $200 (in CASH) back for winning both my classes. The Final has even more prize money. Most manes are braided, but no tails. 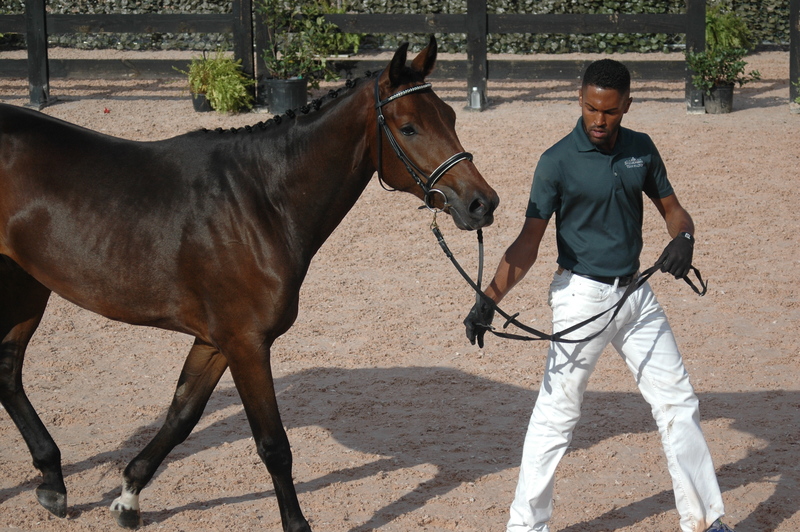 The handlers are hired by the horse show, have experience, and their fees are included in the classes. I have said before, but do not mind to repeat, HANDLERS are invaluable. There are very few of them, we need more of them, and as if you need more incentive, there are HANDLER competitions throughout the world if you so desire to add that accomplishment to a resume. Have patience? A bit of strength? Please learn to do this. The added bonus of this weekend’s handlers? They were hot. I chose to bring my hunter Westin (Under Cover). He is 5, the maximum allowed age. I entered an age appropriate flat and jumping class. I knew the biggest challenge would be the fence height because I have been showing in the baby greens all year (2’6-2’9), keeping him eligible for the Pre-Green division this December per USEF rules. 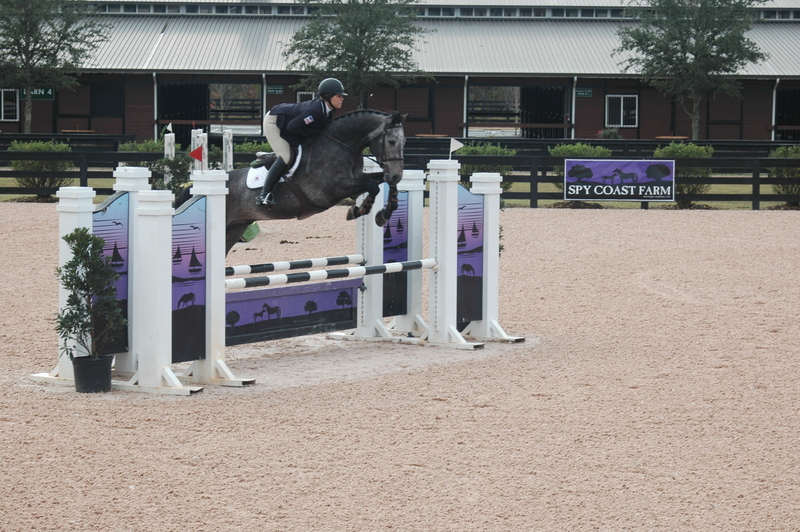 The 5 yr olds in this series are expected to jump the universal standard of 1.10m. 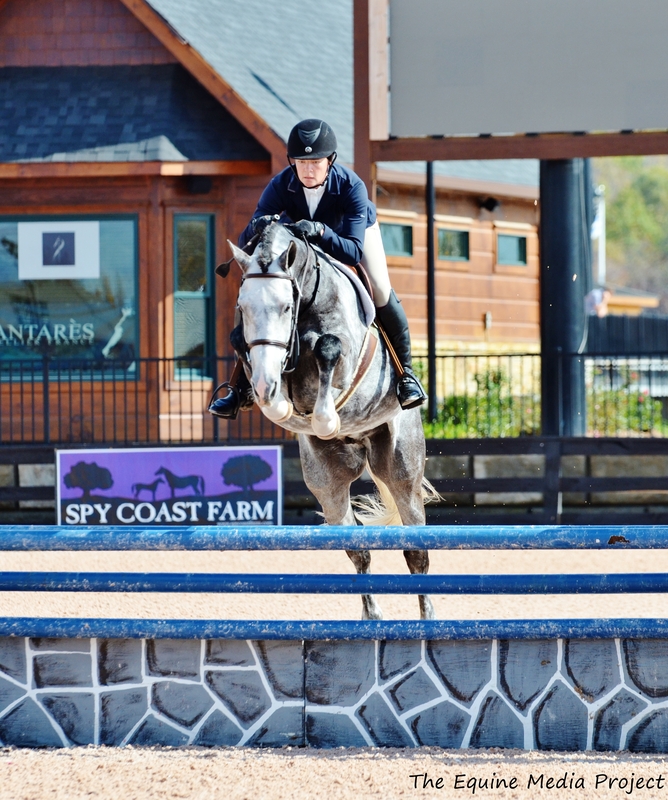 Most of the jumps were typical jumper jumps, not hunter jumps. This series is not currently recognized by USEF. 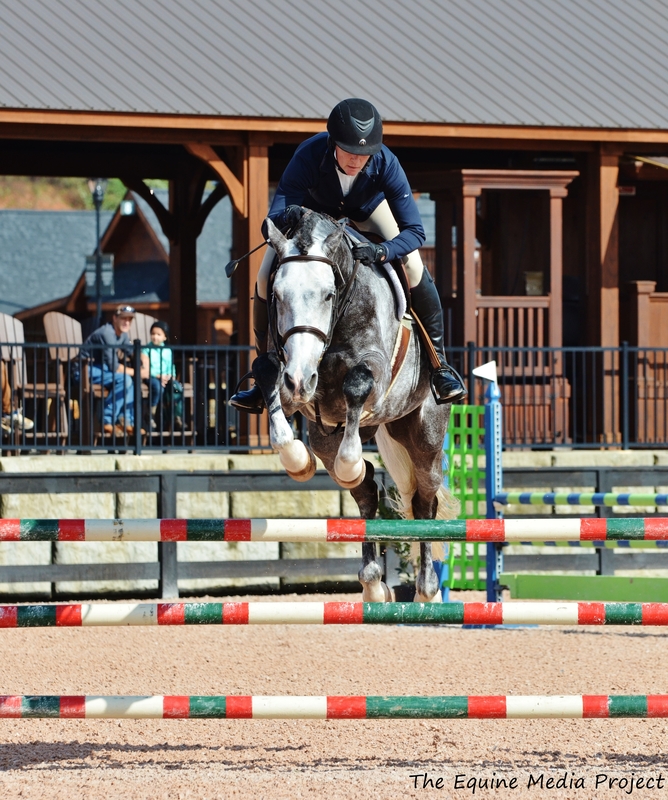 However, they were involved, and provided a young horse clinic during the horse show to educate young USEF members as far as breeding, training, handling, and judging was concerned. #Wonderful #WIN. (Or at least one step forward). My only complaint about this opportunity to partake in a truly important, valuable clinic, was that the USEF chose to forward an email about the clinic to a small, teeny, tiny portion of it’s membership. I was too old to receive the email, apparently, and as a result I was furious. AS IF I AM INCAPABLE OF EDUCATING THE FUTURE GENERATIONS, TOO? The fact that USEF cannot recognize the need for people like me to know when to send forty people to an educational clinic with some of the most knowledgable, well driven speakers and breeders in the horse world is simply criminal and destructive to the entire industry as a whole. End rant…for now. Westin was a leeeetle impressed on the Qualifying day, and I am guessing the thoughts running through his head were very similar to my own, especially in the first round, and contained many, many, MANY swear words. However, the most amazing thing happened right under me after we jumped fence 9, and cleared it by more than adequate height. He grew up. I walked, let out a loud sigh of relief…looked back at the course, which was a double the height of the baby green division, and went holy crap, we just jumped a solid, universal round…and it was fun. Westin has a high price tag. I am not going to lie, I expect him to be a pretty exceptional Am/Jr/Derby horse one day for the circuit, and am excited to have him as a Pre-Green horse for 2016. So far, he has proven himself a winner, and based on my experience, he should continue on the right track. But, when I picked up that Kelley Farmer gallop, (even posting to the canter to try to channel that uber confidence) to the first fence, I knew I could actually skip the pre-greens and go right into the First Years. It was amazing. I could not believe the difference I was feeling in just one demanding round. Westin melted with confidence; becoming butter in my hands. I needed virtually no effort, whatsoever to complete round 2. I never touched his mouth. The scary Spy Coast plank in the out of the double proved no issue, I stopped the nervous posting after fence one, just rode like myself, and I knew immediately I had quadrupled his confidence. The first Pre-Green division at December Hunter Classic, at McDonogh School will be pretty freaking easy after today. (Don’t worry, I would never consider skipping an entire multi-tiered division.) As a result, and I feel confirmed with his price tag. Now, I am only speaking from my own experience, not everyone else’s, and there are obviously horses here that were nothing like Westin, some of them should maybe considering alternate careers, but if the better horses don’t participate, how will we be able to raise the standard in American breeding? It is one thing to hold the shows, it is quite another to understand the education that goes into holding shows and into breeding. Attending is educating. Watching is educating. Contributing is educating, and pretty much the only way it can all work for Jean Yves, his vision, and us in America. You have an idea for improving American breeding? Show me. Don’t be lazy, really, show me. Forward thinking, even if we all know it is a catch up game to the Europeans. It is not like we aren’t capable. But in general, we are lazy in comparison. Eventually I would like to see this series become exclusive for American bred horses…but that will not happen without participation. A-circuit exhibitors are really missing out by not being here…for sure, not that I want you all to rush on in, while I am winning all those Benjamins, but it is all here, right in front of you…for the taking. Some trainers will balk at not being able to make enough money by taking enough clients, and my argument is I wish primary school wasn’t twelve years long. Sacrifice a dang weekend for education. The efforts from Aliboo Farm, Page Brook Farms, Spy Coast, and several others is beyond tremendous. The exhibitor party (which was free) was a huge thank you to us for coming, well thought out, and we were even handed a breeding quiz to see how much knowledge we have as individuals of breeding in America. 99% of us used the Google to cheat. But the wine was plenty, food and chocolate exorbitant, and (most important) discussion real. No cliques anywhere, no insecurities. Every single person here has a very good grasp on the benefits of breeding in America, and is willing to continue the discussion. If you are a young rider complaining about not having access to enough horses to ride…go to one of these shows and hand out your number. We have all let you down over the years by not providing a better growth system for our developing riders; here is your opportunity to help yourselves. 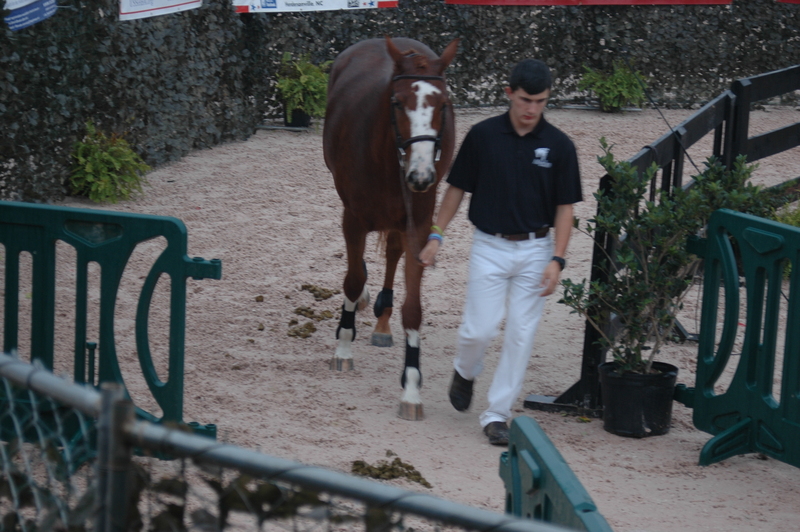 Breeders shouldn’t have to pay a top show professional’s prices to start their young horses. It is far too expensive. You can contribute your services for gas money. You will get the mileage you need to become the best rider you can become. Why are the Irish riders seemingly so far advanced in the International circles? They ride anything. ANYTHING. And they go out looking for horses to ride. Afraid of getting bucked off a young horse? we all are. get over it or pick a different sport. wear a safety vest. Taylor Flury probably had other ideas about how her 4 yr old jumping Final was going to go when she suddenly hit the dirt in the warm up ring and woke up in an ambulance. Think that is going to stop her?? My guess is that it was very, very difficult to keep her OFF her horses the next day. This weekend was not about the business of horse showing. It also lacked greed. 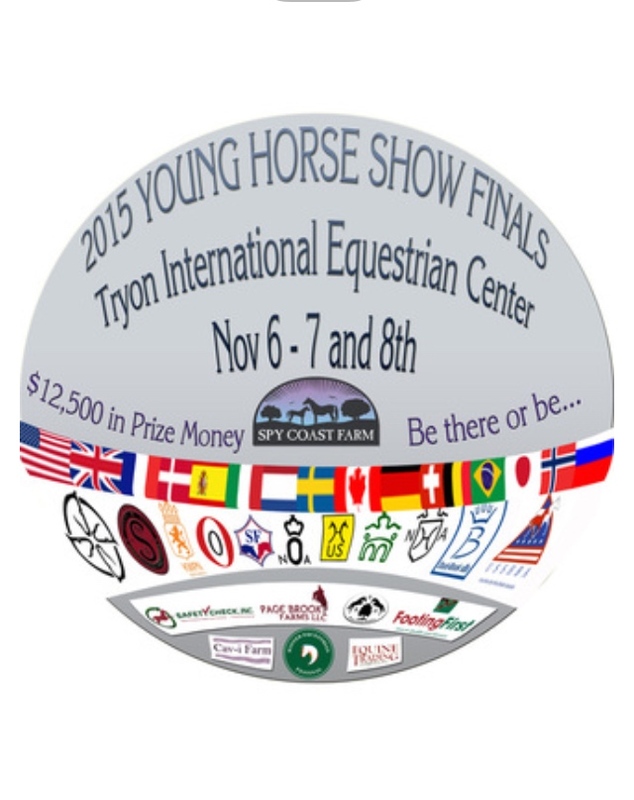 This particular weekend, in November, in Tryon, was about the development of young horses. I had zero obligations to be at ring 5, at roughly 6:30pm, for the Marshall and Sterling/ NAL/WIHS whatever classic for a client. I wasn’t preoccupied with multiple conflicts, or wishing the day to be over by a certain hour. I was able to bathe and braid my horse before the show started, hence, I watched a lot of classes. The ring operators were volunteers from the local hunt club, and they took genuine interest in the horses competing. Due to the special animal I brought with me, I was actually PAID to watch these classes, a special added bonus (although I have to say Westin was just being Westin, and he has no idea he contributed to furthering my own education). Dinner was sponsored and served each night on the grounds, even if this is not the norm for the qualifiers throughout the year, it was genuinely appreciated for the Final. The need for this series was so evident simply by looking around me at the healthy attendance and support for this horse show. Let’s do more. We are capable. Special thanks to The Equine Media Project for the super fab photos. Go like them on FB. This entry was posted in The Good Stuff, Uncategorized and tagged The Good Stuff. Bookmark the permalink. 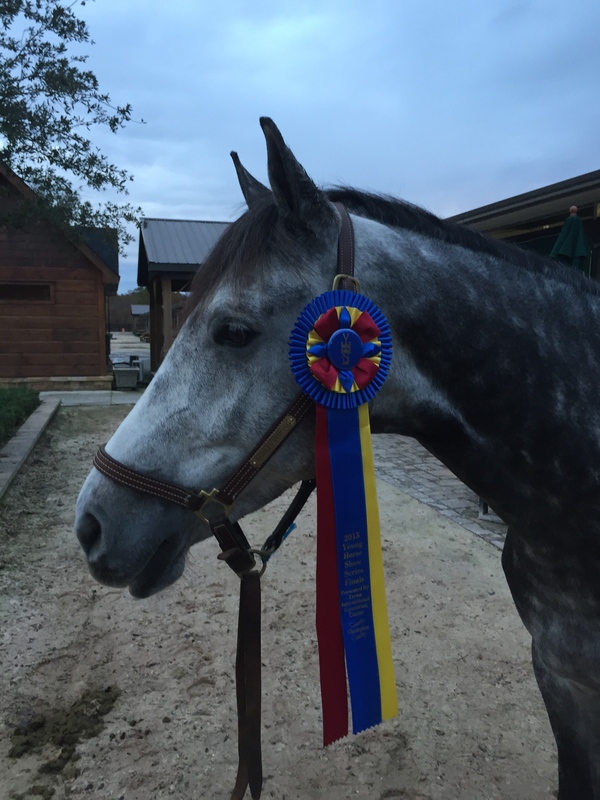 Deloise – I’m an American breeder heavily involved with one of the U.S. warmblood breeding associations. 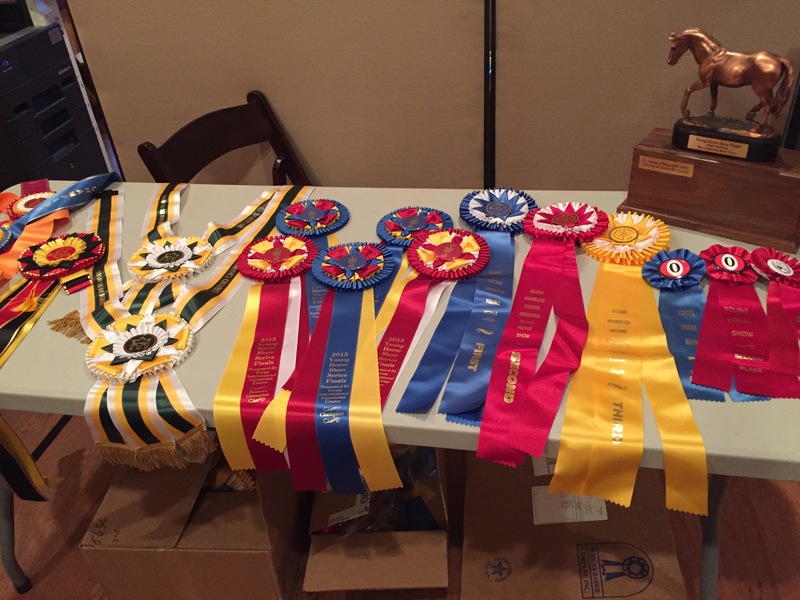 My family breeds, raises, trains, and shows horses targeted for the hunter/jumper market. I appreciate the awareness you, as a high-profile individual in the sport, are raising regarding the Young Horse Series and those involved. However, I’m not sure that this article does any favors to the plight of the American breeder. I know through reputation that you import a large number of horses into the U.S. market. One conclusion that I can’t help but draw from your article is that your young import just crushed the American bred competition. I fully recognize that this was not likely your intent. Nonetheless, the pervasive sentiment in the market is that competitors need an import to win. Until trainers and their customers support the American breeders, there is no hope for catching the Europeans.